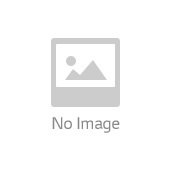 Coffing Hoist, 2 ton capacity, Model WDT-41. 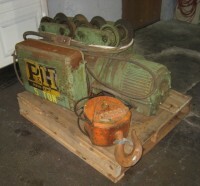 5 ton P & H Overhead Hoist. 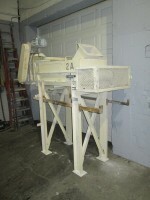 12" Belt Conveyor, 48" long, center feed, discharge both ends. 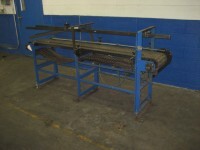 20" x 64" Belt Conveyor, 2 hp drive. 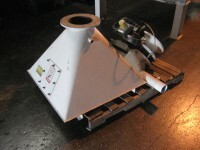 Steel Hopper, with spray on FRP lining, 60" x 32" x 64". 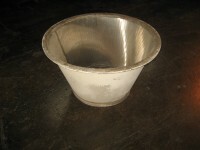 Stainless Steel Cyclone Hopper, 48" dia. Hopper with butterfly valve discharge. Steel Hopper. 45" x 45" x 21" + 57" deep cone. Steel Hopper. 32" x 60" x 61" high, on legs. 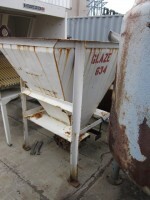 Stainless Steel Hopper with bottom auger conveyor. 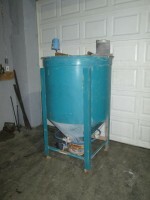 275 gallon Hopper, with 8" butterfly valve discharge. 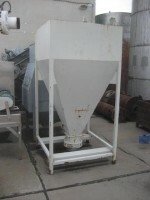 Stainless steel screw conveyor, with drive. 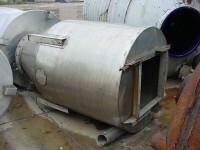 Stainless steel Screw Conveyor, 9" wide x 8'4" long, 1 hp. 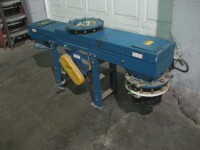 7.75" diameter x 50' long Stainless Steel Screw Conveyor.